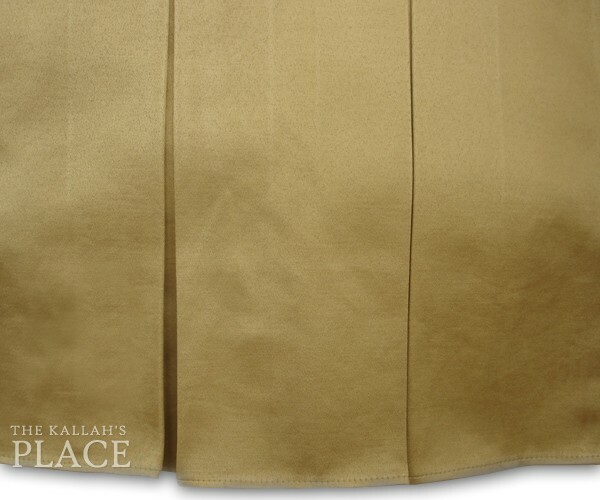 This luxurious 5" Box Pleats style dust ruffle is available in 39", 44", 48", full, queen and king size beds and is 14" in drop length. Custom lengths are additional $30. Our dust ruffles are custom made and are non-returnable. Allow 5-7 days for order processing, for rush orders please contact us. Care Instructions: Machine wash cold. Gentle cycle. Mild Detergent - Do not bleach. Hang to dry. Light iron as needed.